Part of the art of selling single ingredients commodities such as tea lies in the ability of labeling and dating them appropriately with a memorable name. Dealing with oud is no different, with each specimen having a limited supply and very high demand. 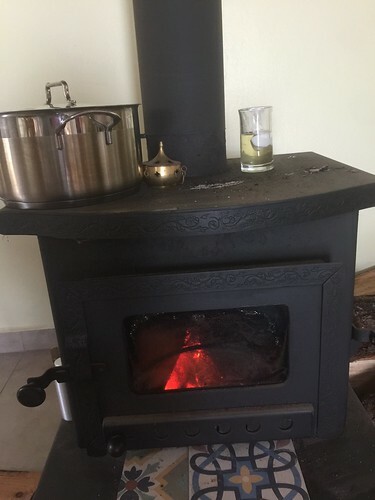 Ensar Oud has done an outstanding job in not only sourcing a wide variety of pure oud oils (for wearing neat on the skin, I thought you might ask) and wood (for burning) - but also giving them imaginary names. Ensar Oud does that with enticing names that make it a lot more memorable than just dates and numbers (although these do have their place and value in recognizing and comparing various aromatic specimens). Straight from the vial: Notes of spikenard, a tad minty-cool, alongside pungent notes of paint, tar and carbolineum. Reminiscent of antique patchouli as well. On the skin: Elegant, clean, cool yet also spicy. Vetiver, berry and grass notes - reminiscent of nagramotha and davana mixed together. Tobacco-like with hints of helicrysum also. Dryout: Woody, sweet yet clean. Straight from the vial: Musty, old furniture, yet also mellow. Another time it smelled intense animal odours to me - like being surrounded by goats and camels, or sitting in a tent made of goat's hair and sheep's wool, dusty old cow cakes, and visiting caves where the above animals slept in. On the skin: Grows warmer and sweeter on the skin. Dryout: Dusty, with the animalic barnyard remnants persist. I happen to be very fond of goats, but find that wearing this on its own is a bit too realistic. I would be curious to blend it in a perfume where it would add a surprising element but only hint to the animals, without smelling so literal. Straight from the vial: Funky, animals, valerian, hint of mint, mushroomy (like sour Cepes absolute), Marmite undertones. All in all quite yeasty. On the skin: Strong yet somehow dull and flat. Dryout: Becomes cooler woodier as it dries on the skin. Elegant finish to a rather funky beginnings. Straight from the vial: Although it begins with a blow of gasoline fumes notes that brings to mind the rather harsh opening of nagramotha (AKA Cypriol, a type of papyrus with a scent that closely resembles vetiver) - this is the mellowest of the four. Berry-like and smooth-wood body, with dusty clay and dried figs undertones. On the skin: Clean woody. Hints of roasted nuts and coffee. A tad floral, perhaps even rosy. With herbaceous-grassy undertones, reminiscent of chamomile and blonde tobacco. Dryout: Warm-woody, a little like vetiver. 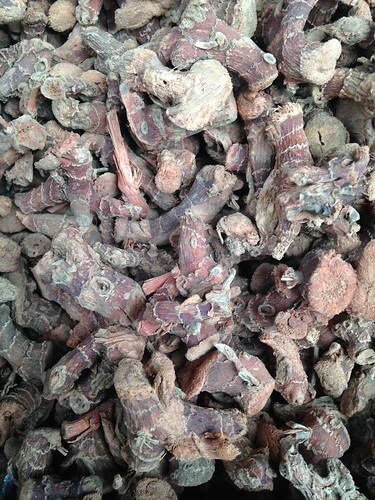 After sampling oud oils and woods in various circumstances, I came to the realization that this is one of the most curious, sneaky and fascinating raw materials. It makes a huge difference when, how and where you experience the scents (as burned or warmed wood chips; oils on your skin or on paper or in the vial, etc.). Also, the order in which they are smelled makes a huge impact on their perception. 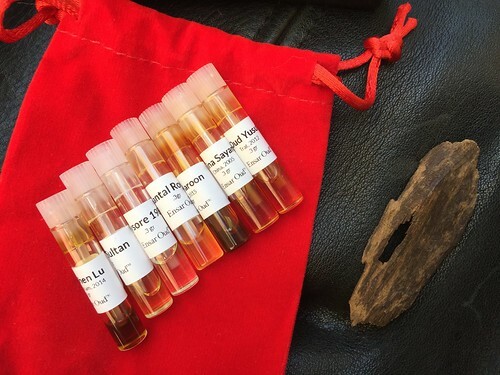 If I were to smell these four ouds in a completely different order, they would smell quite different. I would recommend actually not smelling them side by side but immersing yourself completely in one at a time (which I would do later for each one of the oud oils I have in my collection). If you decide to warm the oud chips as incense, using the Japanese koh-doh method, try different sequences of the ouds you have. Take lots of notes, not for others to read, but for yourself. 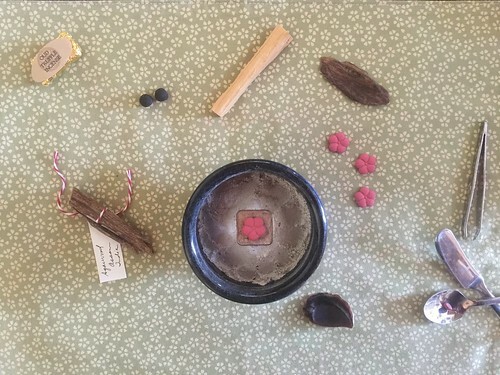 It helps a great deal to refine the sense of smell and one's perception, and to pay more attention to the many nuances in these rich and complex treasures. Also this will help you to memorize the very confusing array of ouds available - which may seem useless for a layperson, but if you want to share these treasures with friends and host a little incense party - it will be very helpful to know what you're burning and in which order to place them. It will greatly affect the experience. For example: if a scent is very strong its best to place it last after the more subtle specimens. Also, memorization of what you have will help you enjoy more and be able to better appreciate other ouds that you stumble upon in other places. Happy Vernal Equinox! Happy Norooz (Persian New Year) to those of you celebrating! 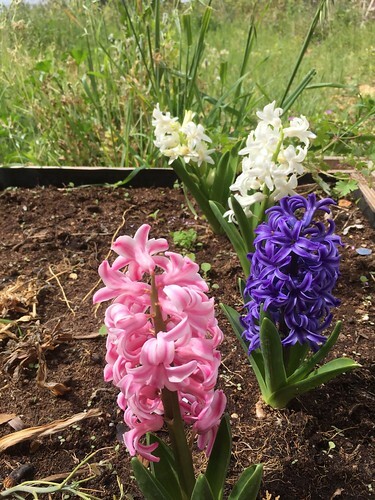 On this first day of spring, when the light is beginning to grow stronger than the darkness, I pray for perseverance, strength of heart and healing for us all. May we always have the power to discern between that which is healing and beneficial to us, and what may bring us malaise. May we be able to cleanse and purify ourselves, and shed the layers of darkness and confusion. Please ourselves from habits that hold us back and bring us pain and misery, and move forward with power and perseverance carrying actions and building habits that bring healing, light and love to our lives and to the world around us. It seems like ages ago since I've written anything about perfume shopping. And the reason is because there wasn't any. Aside from the fact that I don't NEED any perfume and the financial burden of overseas relocation and home renovation - we now live in the COUNTRYSIDE. And the only thing resembling a perfume shop in it is my very own perfume studio. But recently Miss T and I were able to poke our snouts out of our little cave and go perfume shopping again. The spark that got me sucked back into this activity after such a long period of hibernation (or is it celibacy?) 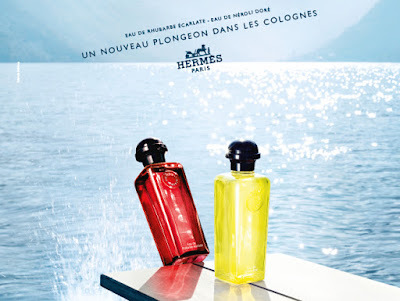 was a new shop that opened in the nearest mall, which carries some niche lines such as Penhaligon's, Tom Ford, Tocca, Initio, Reminiscence - and now I see on their website that they also carry some of l'Artisan Parfumeur's, Aerin and Atelier Cologne fragrances. Their definition of "Boutique Perfumes" is a little unclear sometimes, but in any case it is good to see that perfume shopping in Israel has expanded its horizon a little beyond the designer fragrances, at long last... Today I even stopped at the drugstore and was almost overwhelmed by the amount of lines that I'm unfamiliar with that crowded the shelves, as well as a couple of scents that you'd never see in Canada (Chanel's Egoiste, and Dior Homme Extreme come to mind). Anyway, what I really I wanted to tell you about is how Miss T, at her mere wee girly naiveté, woke up yesterday morning inclined on going perfume shopping for "Kitty Cat Perfume". I always dreamt of the day she'd do that (ask to go perfume shopping, not ask for Hello Kitty perfume - we need to be absolutely clear about that). So we went and thankfully for me, there was no Hello Kitty perfume in that shop. But there were many others which I tried, such as Reminiscence Patchouli on my left wrist, and Patchouli Elixir on the right one (the original is better, and also doesn't come in a hideous gold-plated bottle). And also, Miss T, after not finding any cats to spray on her wrists, ended up specifically picking one of the Hermessences eau de colognes. Last time we were there she tried the red one. This time she carefully sniffed both the red and the yellow, and picked the yellow. If you don't know Miss T, you don't understand the significance of this. This girl lives in a RED world. And if it's not red, it has to have some red in it (orange or pink, or at least purple). But no, she picked the "Yellow Pee Pee" perfume. That's right. And then we went to eat ice cream. And then (lo and behold), the moment every perfumista dreams of, but also hopes would never happen to her daughter: the girl obsesses over the perfume even while at the ice cream parlour. So we go back to the store and when asked which one she wants she explains "Yellow PeePee Perfume" once more yet she grabs another very similar yellow bottle by the same brand. I want to make super sure she knows what she wants, so I let her smell both "Yello PeePee Perfumes" side by side, and she decidedly goes for the one she tried earlier on, based on the smell. I don't know if most of you realize which kind of a breakthrough this is in terms of communication. Odour perception is hard enough to describe for neurotypicals. So imagine how even happier I was when she mentioned her "girl perfume" (which is how she called her Le Petit Prince Eau de Toilette - she thinks he looks like a yellow hair girl). 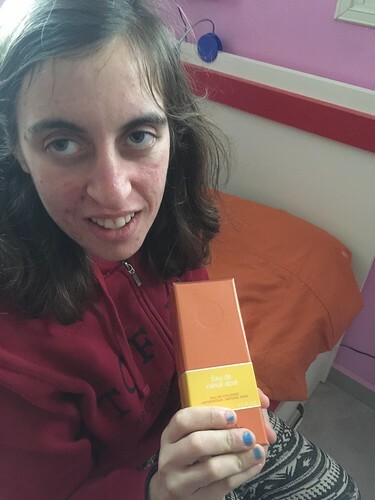 It is also citrusy, so I was just over the moon that she can communicate the similarity and recognize the citrusiness they both have in common; even though that's a lemony fragrance, and the one she chose now is more about neroli. 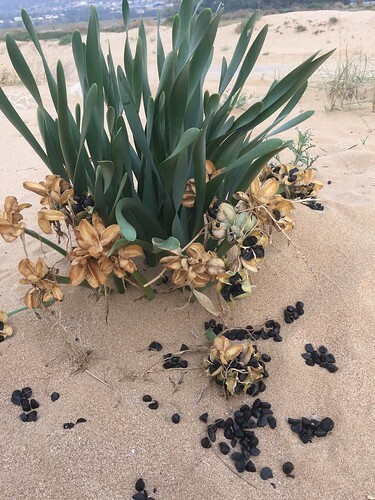 With its intoxicating scent and proximity to the sea, their luscious winter greenery and charcoal-like seeds, beach lilies give me inspiration constantly. 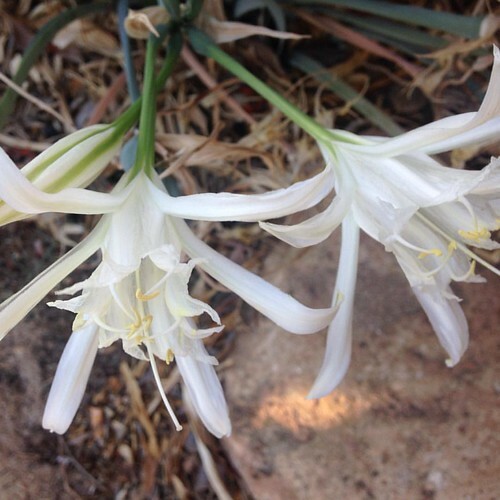 The smell is similar to lilies but also to narcissus, but it's very delicate. Paired with the salty air of the Mediterranean it is easy to understand why they are so lovable. If I could I would wrap myself with their scent year-around. But of course that is not possible. So I've created an imaginary beach lily accord, and started playing with it in a couple of products. First came the scent itself - centred around ylang ylang and ginger lily, which I used in my bath and as a diffuser scent. 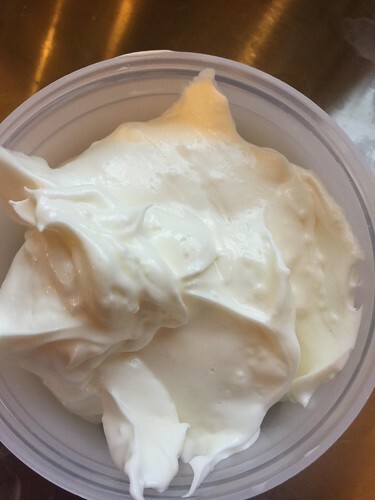 Then I decided to make more of it and prepare body butters and scent it with this blend. 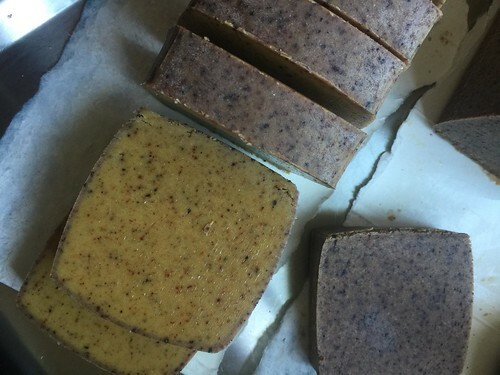 The butters are amazing - I found a formula that actually works and is rich but also more easily absorbed, and does not develop annoying shea butter grains after it cools down. 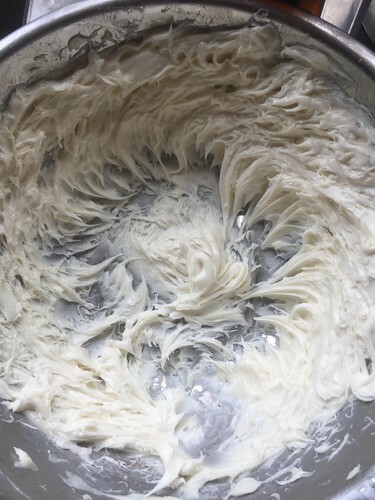 I whip it into a lovely creamy texture. 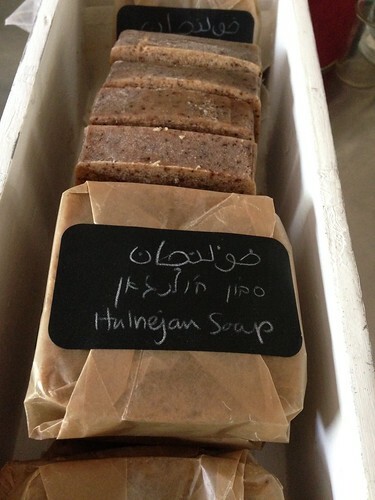 It contains shea butter, cacao butter, virgin coconut oil and castor oil and a few other "secret ingredients". Sadly, I found this base not to be the best canvas to carry the Beach Lily fragrance though. I wear it and enjoy it all the same, but the scent changes a bit in reaction to the base ingredients. I tried to scent the same formula of body butter with antoher fragrance and it turned out divine (Rahat Lukoum scent). So I know the formula is fine, but just does not lend itself well to all perfumes. This is why functional perfumery is so much more challenging, by the way. 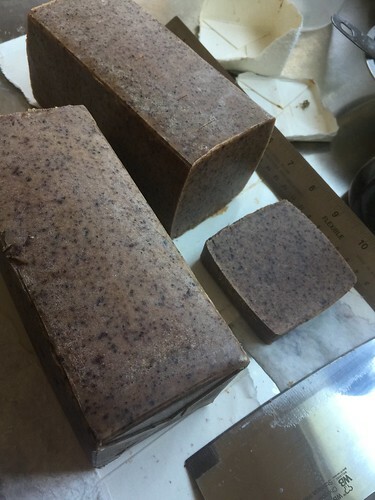 Lastly, I poured the scent into a lovely soap bar that is designed as a shampoo bar, but also good for all-over-the-body moisture and rich fluffy lather. Previously, I tried this new formula only with yang yang essential oil. 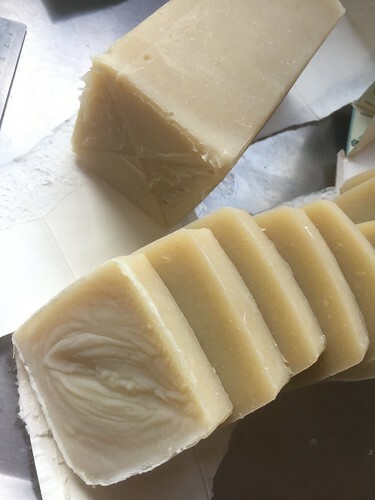 It is an entirely different formula than my other soap bars, as it contains higher proportion of castor oil, that is an excellent humectant and conditioner for the hair), cacao butter, shea butter and coconut milk (!). I didn't want to risk putting a complex blend in it the first time, in case it does not turn all that great. But it turned out amazing, both in texture, lather, moisturizing properties and its ability to not dry the hair (I can easily use it on my dry curly hair without needing a conditioner after). It simply flew off the shelves. So this time I added the Beach Lily perfume and I think I'm going to hide some of it away before it will disappear! 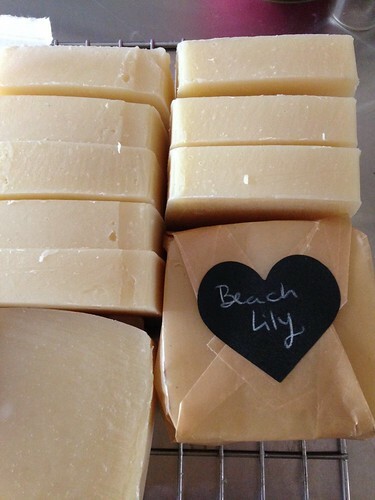 I put the Beach Lily & Coconut Milk shampoo bar online already so that you can purchase it, and I think I will need to make a new batch pretty fast.